Conducting a background check for tenants on each adult applicant potentially saves landlords from the headaches as well as very expensive costs associated with evicting poor tenants who damage the property or do not pay rent on time. Landlords also save attorney fees associated with having to evict tenants who commit crimes on the premises or violate other terms of the residential lease. The background check on tenant searches conducted by the American Apartment Owners Association gives you the most up-to-date results in real time. Prospective tenants may attempt to convince a landlord to refrain from conducting their normal background check on tenant screening. Every background check tenants object to should cause serious concern for the landlord. Good tenants will not object to the background check for tenants procedure. In fact, good applicants often expect that landlords conduct a thorough background check tenant search. When an applicant attempts to convince you not to conduct comprehensive screening on every adult member of their family, it is quite possibly because there is something the applicant wants to hide. It is imperative that you always conduct the most comprehensive background checks for tenants search available. The American Apartment Owners Association provides comprehensive background check tenant packages to suit your needs. Most landlords realize that background checks must contain much more than just a credit score or answers to very basic questions on a background check tenant screening form that you create yourself. It is crucial for landlords to rely on the comprehensive background check for tenants services provided by companies such as AAOA, the largest landlord association in the U.S. When you trust AAOA for all your tenant screening needs, you have the confidence that the results you receive are the most up-to-date results available and usually in real time. Save the costs associated with poor tenants and the possibility of your rental properties sitting vacant by conducting the most comprehensive background check tenant search on each applicant. 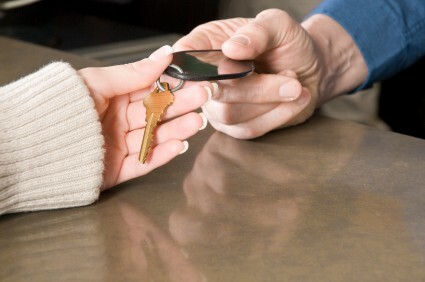 Do not accept cash that a tenant waves in-hand, wanting the keys immediately. Do not refrain from conducting a thorough background check for tenants who give you a sob story that their spouse or adult child should not have to undergo the process. A primary applicant sometimes attempts to complete the rental application without providing information about other adults in the home. Your concern over the applicant potentially hiding the poor rental history or even criminal history of co-applicants should lead you to make sure that your background check for tenants includes every adult in the home, including non-relatives. Conducting a background check for tenants that gives comprehensive results is the best way to ensure that you select the best-qualified rental applicants. Eviction History – Selecting a background check for tenants package that screens for eviction history gives you detailed information on evictions, including dates and number of evictions. Previous Address Tenant History – This background check tenants screening informs you whether the address information given by your applicants is correct or if the prospective tenant attempts to hide evictions or other poor rental history by failing to disclose prior addresses or even their current address. Criminal History – Landlords sometimes assume their own criminal search on their home or office computer gives them reliable information on an applicant’s criminal history. However, that is not the case when you search local criminal records. Local records often come from misdemeanor or municipal courts where the court only decides cases related to minor criminal charges. Searching state-specific or national level criminal records such as those provided in your choice of AAOA background check for tenants packages provides you with reliable criminal history results. Social Security Number Fraud Check – Applicants attempt to commit identity theft when they rent a property when intentionally using the identity of another person. Prevent this from happening to you by choosing a background check tenant package that searches for social security number fraud. Every AAOA background check for tenants package is created by attorneys and other industry professionals. We offer a variety of background check tenant package options. ***** Protect your investment in your rental properties by selecting your choice of background check on tenant packages that suits your specific needs. Trust in a company that has your needs in mind when providing background check for tenants services.